Words can be powerful to read, but the power of speech, emotions, body language, and movement can be especially persuasive and deeply moving. Online video provides that level of impact on consumers and proves to be a significant force in the future of content marketing. Video will make up 69 percent of all consumer Internet traffic by 2017, reports Cisco. And on the business side, 64 percent of marketers predict video will dominate content strategies in the future. How? Video marketing campaigns can drive traffic to your site, engage audiences to create connections, and increase lead conversions. 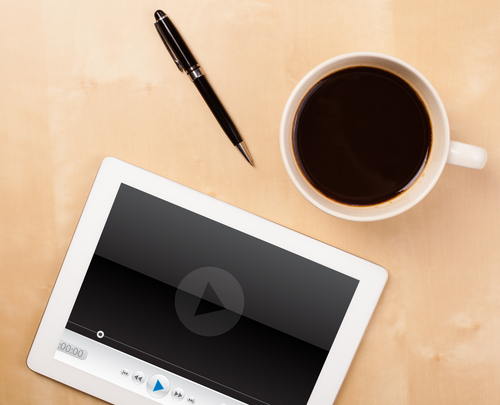 Videos actually have the potential to be far-reaching for years. Imagine the branding influence of a video that’s gone viral. Volkswagen’s “The Force” continues to be a legendary Super Bowl video campaign that acquired 82.4 million views on game day in 2011. It’s gone down in history as the video campaign that has had 26 million more views than any other Super Bowl campaign. If your business needs to join the video marketing space, here are three video platforms your business can use for branding, going social and marketing user-generated content. YouTube videos are nearly matchlesss. YouTube is the number two search engine in the world and receives more than one billion unique visitors monthly. Brand your company videos with an arresting idea and full optimization in video descriptions for high search visibility and rankings. Keep in mind, optimizing a company video landing page and sitemap can also drive traffic to your site, recommends Andrew Angus of Switch Video. Entrepreneur Benjamin Leis of Sweat EquiTees also advises storytelling using pictures and sounds for visual branding. LifeLock, a leading identity theft company, has captured the essence of storytelling with its motion-picture marketing. LifeLock features its services through a video and commercial series that tells the story of the typical digital user of modern-day technologies, from the online banker to the photo sharer. The goal is to draw branded awareness to identity theft and LifeLock services, while telling stories about the average gadget user who shops, posts, browses, follows, banks, and streams. Even if your business doesn’t have the production budget and technical resources to produce a groundbreaking video series, you can still embark on video opportunities with a limited budget. Simply using a smartphone, you can create a snappy six-second Vine video clip that promotes your business and attracts followers. As of early summer 2014, Twitter’s Vine platform had more than 40 million total users who are also consumers and potential loyal customers. Vine videos are social, shareable and easily accessed on a smartphone. Vine users respond emotionally, adopt purchasing confidence and can even participate in promotional contests. Postano.com, a company specializing in social content platforms, highlights Nissa’s VersaVid Vine campaign and its creative Vine marketing concept. Nissan offered six $1,000 Amazon gift cards to the top contestants who created Versa adventures using 3D construction paper cutout cars. Nissan also promoted the contest on its microsite YourDoortoMoore.com — a cutting-edge online space for socially marketing the Versa. Since brands have become more accessible to consumers through mobile technology and social applications, user-generated content has grown as a result. For example, consumers can create original video content that brands can use as part of a promotional sweepstakes campaign and way to foster consumer-brand relationships. Forbes featured Bravo video as an innovative Web-based UGC tool for quickly and simply implementing video into marketing objectives. Using Bravo from any device, brand fans and followers can easily record and submit videos for a company to post on a campaign microsite, blog or social networking site. The platform can capture testimonial videos and launch video contests that virtually, and effectively, market a business online. Employment and jobs-listing site Indeed.com, Texas A&M University and eCornell have all deployed Bravo UGC solutions as part of their marketing efforts.